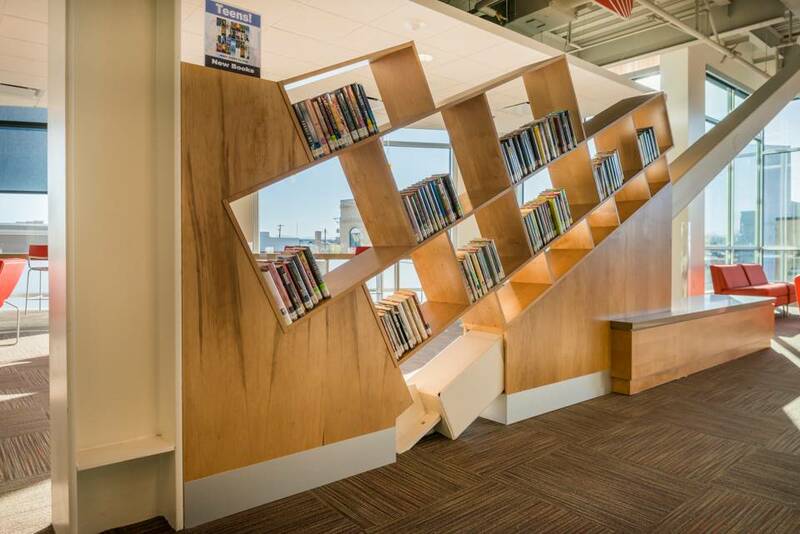 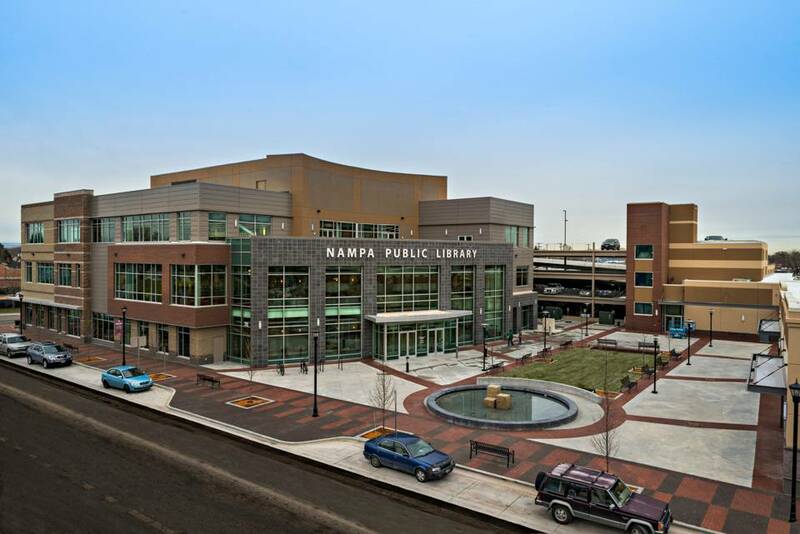 Description: The 62,000 sf library, 3-story office building, and 300 stall parking structure now serve as the new heart of the downtown Nampa. 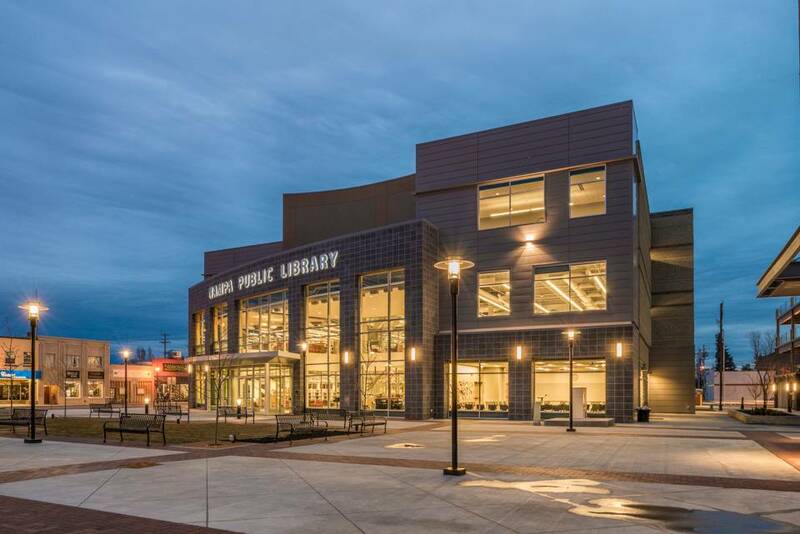 Each building faces a central, landscaped plaza with outdoor dining and a fountain that is the focal point of Nampa Library Square. 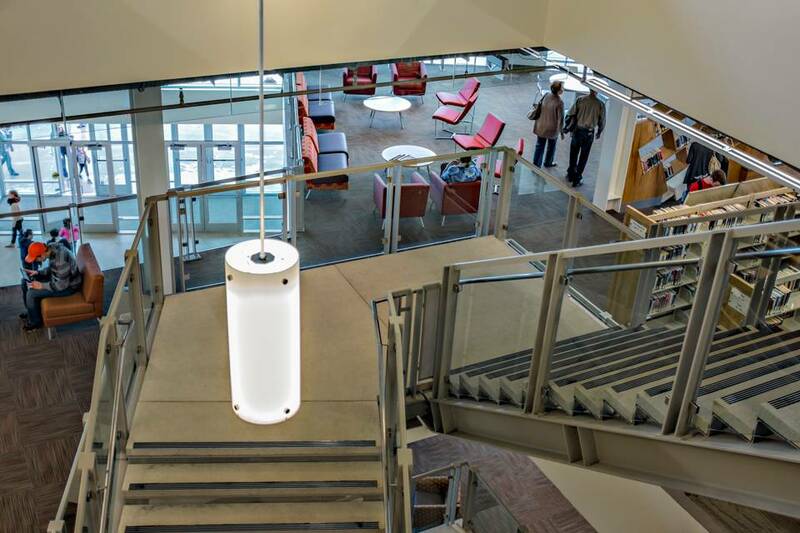 The project was the recipient of Idaho Business Review’s 2014 and 2015 Top Projects in the Government category, 1st place for Engineering News-Record's (ENR) 2015 Mountain States Awards and was also awarded ENR's BEST PROJECT OF THE YEAR! 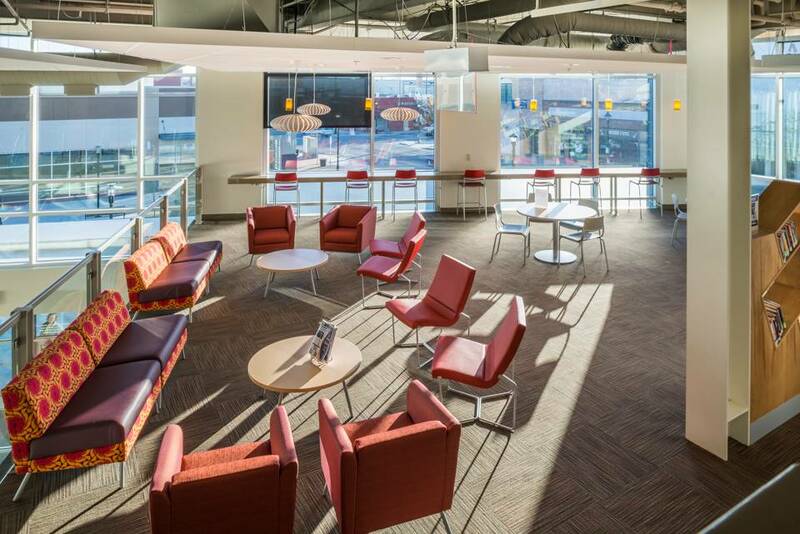 Project Size: 62,000 sf, 13,267 sf office & retail space & a 300-stall parking structure.